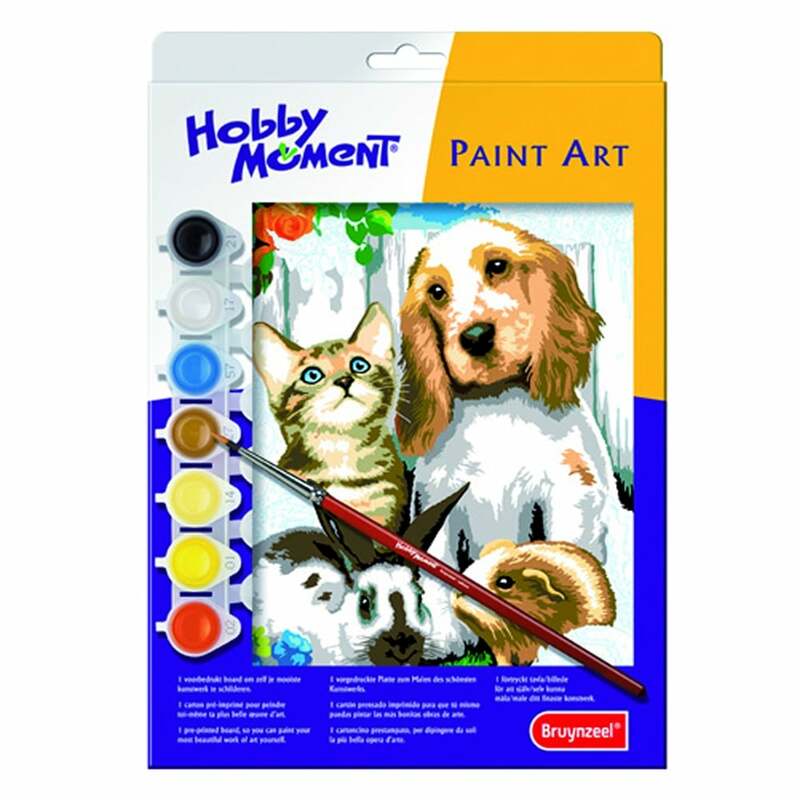 This ready-to-use kit consists of a beautiful line drawing on a sturdy board (22.5 x 30.5 cm), 6 mixing pots and 7 specially selected colours of acrylic paint and a paintbrush. Painting techniques and tips contained in the enclosed folder, you can make your own beautiful paintings. Contents: 1 numbered board, 7 quick drying acrylic paint, 6 mixing pots and 1 paint brush.